“It’s only a transport link, after all,” said Angus Willson somewhat dis-ingenuously, pondering the construction site across the road. 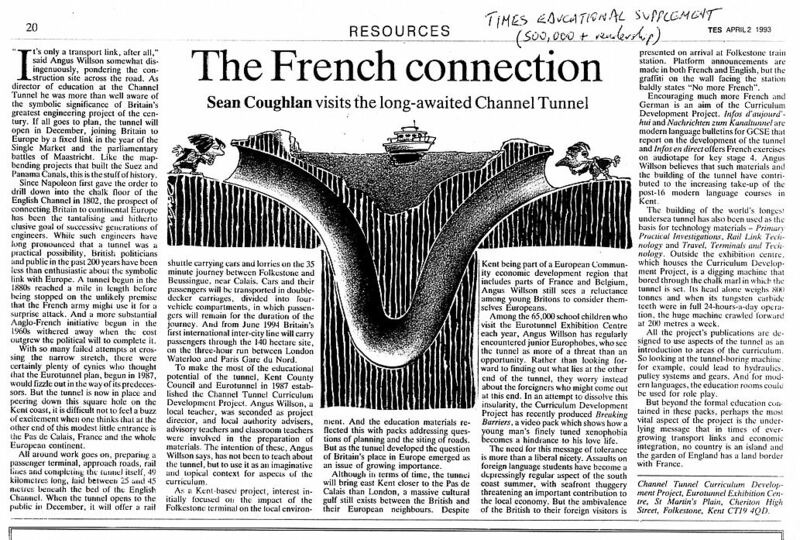 As director of education at the Channel Tunnel he was more than well aware of the symbolic significance of Britain’s greatest engineering project of the century. If all goes to plan, the tunnel will open in December, joining Britain to Europe by a fixed link in the year of the Single Market and the parliamentary battles of Maastricht. Like the map-bending projects that built the Suez and Panama Canals, this is the stuff of history. Since Napoleon first gave the order to drill down into the chalk floor of the English Channel in 1802, the prospect of connecting Britain to continental Europe has been the tantalising and hitherto elusive goal of successive generations of engineers. While such engineers have long pronounced that a tunnel was a practical possibility, British politicians and public in the past 200 years have been less than enthusiastic about the symbolic link with Europe. A tunnel begun in the 1880s reached a mile in length before being stopped on the unlikely premise that the French army might use it for a surprise attack. And a more substantial Anglo-French initiative begun in the 1960s withered away when the cost outgrew the political will to complete it. With so many failed attempts at crossing the narrow stretch, there were certainly plenty of cynics who thought that the Eurotunnel plan, begun in 1987, would fizzle out in the way of its predecessors. But the tunnel is now in place and peering down this square hole on the Kent coast, it is difficult not to feel a buzz of excitement when one thinks that at the other end of this modest little entrance is the Pas de Calais, France and the whole European continent. All around work goes on, preparing a passenger terminal, approach roads, rail lines and completing the tunnel itself, 49 kilometres long, laid between 25 and 45 metres beneath the bed of the English Channel. When the tunnel opens to the public in December, it will offer a rail shuttle carrying cars and lorries on the 35 minute journey between Folkestone and Beussingue, near Calais. Cars and their passengers will be transported in double-decker carriages, divided into four-vehicle compartments, in which passengers will remain for the duration of the journey. And from June 1994 Britain’s first international inter-city line will carry passengers through the 140 hectare site, on the three-hour run between London Waterloo and Paris Gare du Nord. To make the most of the educational potential of the tunnel, Kent County Council and Eurotunnel in 1987 established the Channel Tunnel Curriculum Development Project. Angus Willson, a local teacher, was seconded as project director, and local authority advisers, advisory teachers and classroom teachers were involved in the preparation of materials. The intention of these, Angus Willson says, has not been to teach about the tunnel, but to use it as an imaginative and topical context for aspects of the curriculum. As a Kent-based project, interest initially focused on the impact of the Folkestone terminal on the local environment. And the education materials reflected this with packs addressing questions of planning and the siting of roads. 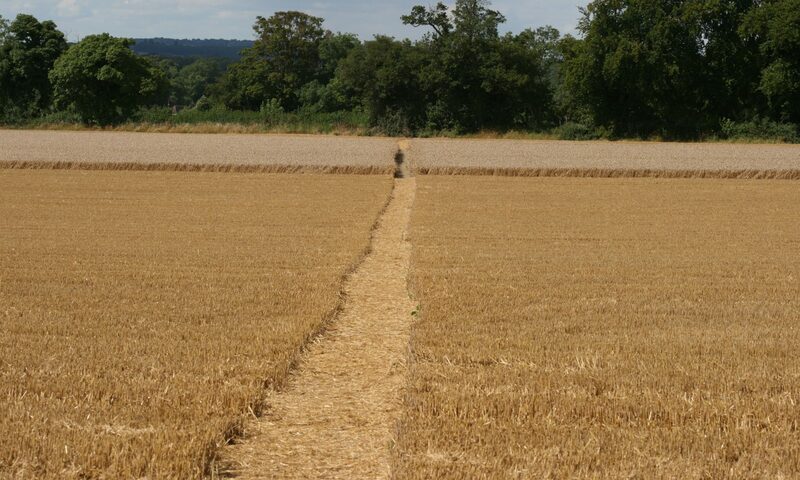 But as the tunnel developed the question of Britain’s place in Europe emerged as an issue of growing importance. Although in terms of time, the tunnel will bring east Kent closer to the Pas de Calais than London, a massive cultural gulf still exists between the British and their European neighbours. Despite Kent being part of a European Community economic development region that includes parts of France and Belgium. Angus Willson still sees a reluctance among young Britons to consider themselves Europeans. Among the 65,000 school children who visit the Eurotunnel Exhibition Centre each year. Angus Willson has regularly encountered junior Europhobes, who see the tunnel as more of a threat than an opportunity. Rather than looking forward to finding out what lies at the other end of the tunnel, they worry instead about the foreigners who might come out at this end, In an attempt to dissolve this insularity, the Curriculum Development Project has recently produced Breaking Barriers, a video pack which shows how a young man’s finely tuned xenophobia becomes a hindrance to his love life. The need for this message of tolerance is more than a liberal nicety. Assaults on foreign language students have become a depressingly regular aspect of the south coast summer, with seafront thuggery threatening an important contribution to the local economy. But the ambivalence of the British to their foreign visitors is presented on arrival at Folkestone train station. Platform announcements are made in both French and English, but the graffiti on the wall facing the station baldly states “No more French”. Encouraging much more French and German is an aim of the Curriculum Development Project. Infos d’aujourd’hui and Nachrichten zum Kanaltunnel are modern language bulletins for GCSE that report on the development of the tunnel of the tunnel and Infos en direct offers French exercises on audiotape for key stage 4. Angus Willson believes that such materials and the building of the tunnel have contributed to the increasing take-up of the post-16 modern languages courses in Kent. The building of the world’s longest undersea tunnel has also been used as the basis for technology materials – Primary Practical Investigations, Rail Link Technology and Travel, Terminals and Technology. Outside the exhibition centre which houses the Curriculum Development Project, is a digging machine that bored through the chalk marl in which the tunnel is set. Its head alone weighs 800 tonnes and when its tungsten carbide teeth were in full 24-hours-a-day operation crawled forward at 200 metres a week. All the project’s publications are designed to use aspects of the tunnel as an introduction to areas of the curriculum. So looking at the tunnel-boring machine for example, could lead to hydraulics, pulley systems and gears. And for modern languages, the education rooms could be used for role play. But beyond the formal education contained in these packs, perhaps the most vital aspect of the project is the underlying message that in times of ever-growing transport links and economic integration, no country is an island and the garden of England has a land border with France. Channel Tunnel Curriculum Development Project, based at Eurotunnel Exhibition Centre, Folkestone, Kent.